vintage Soldering Guns, and Soldering Tools. Soldering irons have been around for over 4,000 years. Up until the early 1900s they were mostly heated by flame. There was no control of the temperature. Check out some of the flame heated irons in my collection. An electric soldering iron is typically on whenever it's plugged in. They usually take a few minutes to heat up and generally stay at a steady temperature. Here's a few I've collected including some "Self-Feeding" soldering irons. 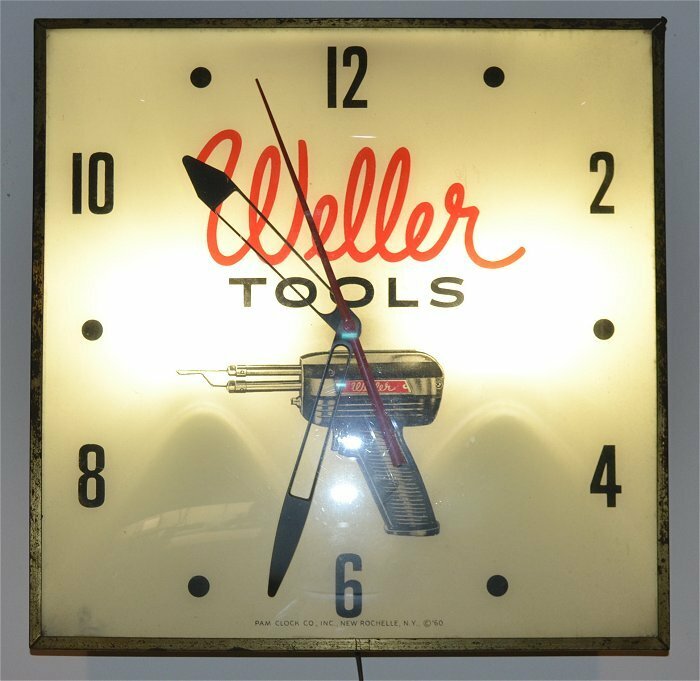 The Soldering Gun was invented by Carl E. Weller in 1941. Soldering guns heat quickly when a trigger switch is pulled and cool rapidly when put down. Check some out here including Carl Weller's first "Speedy Irons". This group includes corded soldering irons that have a separate power supply, transformer, temperature control, or irons that plug into any type of base. Use the buttons on the left to check out vintage soldering tools, circuit board holders, soldering history, vintage solder and supplies, instruction, and more. What soldering equipment do I use? 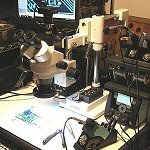 Soldering tools I use on my workbench including an in depth overview of my ESD/SMD Micro Soldering Workstation. Any information on this soldering gun made by Supreme Instruments around 1937. 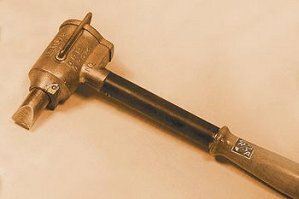 This Esico Luger soldering gun made by Electric Soldering Iron Co. Inc., Deep River, Conn. 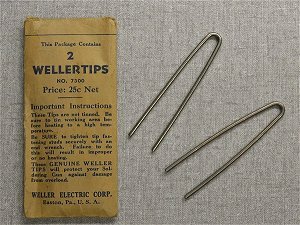 These exact Weller #7300 tips. 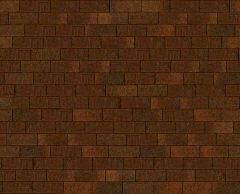 These are the earlier version. The later tips were copper colored with larger ends. I am also looking for this (or a similar) early ERSA electric soldering iron.